James Creighton was a son of John and Elizabeth Creighton. 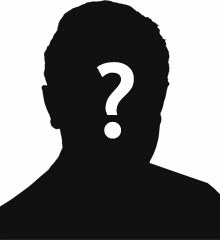 He was born on 6th December 1880. He was one of seven children. The family lived in Coagh. His father was a carpenter. James enlisted in the Royal Inniskilling Fusiliers in Cookstown, being given the Service No. 9559. James later transferred to the 87th Company of the Machine Gun Corps. Lance Corporal Creighton was seriously wounded in April 1917. 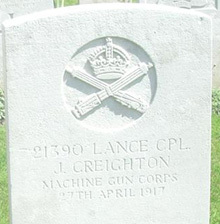 Lance Corporal James Creighton was taken to Etaples General Hospital where he died of his wounds on Friday 27th April 1917.